Refreshments at Dunsop Village Hall Address: Dunsop Bridge Village Hall, Trough Road, Dunsop Bridge, Clitheroe, Lancashire, BB7 3BG Phone Number: 01200-448349 Opening times: On Sundays (From Easter to End of August) from 11am to 4pm. You can find more photos of the Village Hall in the following photo galleries on the website at this link. 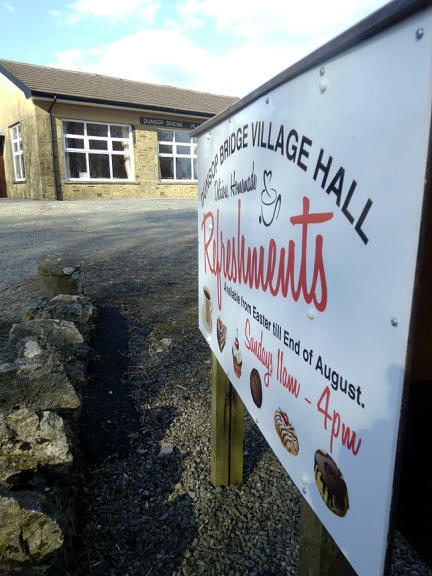 The following cycle routes stop at the village hall: You can click here to see full list of cycle route, You can view a google map showing where you find the Dunsop Village Hall at this link. You can find more photos of the Village Hall in the following photo galleries on the website: 13th April 2008 ride along the Salter Fell Track and over the Trough of Bowland.